With the rise of portable storage devices and removable media, data theft is becoming an increasing threat to organizations. Devices such as USB keys, Wi-Fi connections, FireWire ports, Bluetooth devices, iPod, mobile phones and MP3 players are connecting seamlessly to the company networks. Most IT administrators have no control over the connection of these portable storage devices, leaving company confidential information exposed. Access Patrol provides a comprehensive solution for securing company computers to restrict unauthorized access from personal external storage media to steal your company's proprietary information. 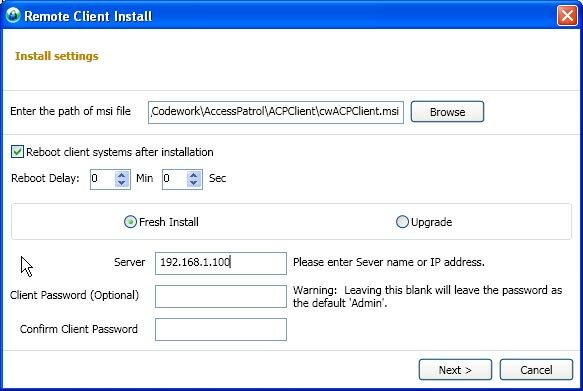 AccessPatrol provides an effective method for power management. With a simple click of the mouse, computers can be remotely shutdown or booted. 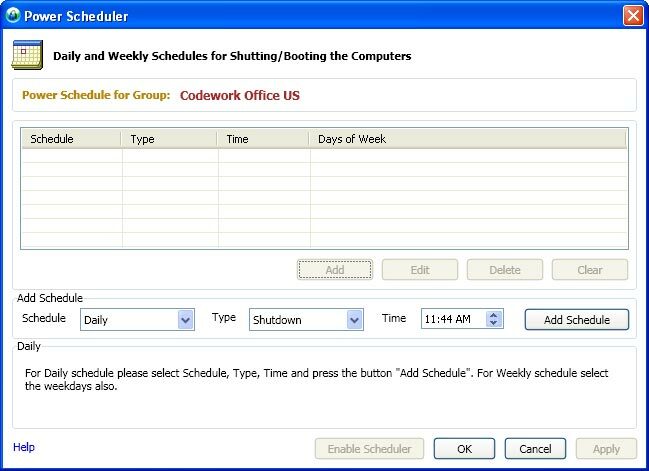 This function can also be scheduled to force a shutdown of the computers at a specific time or schedule a boot of the computers at the beginning of a work day. 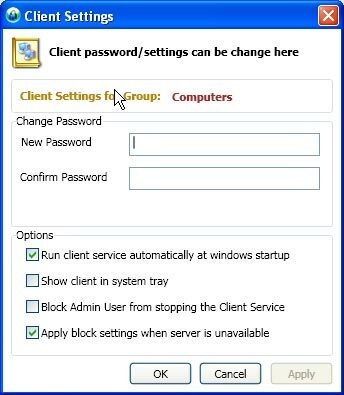 Centralized Security Console With a few simple clicks, endpoint security can be readily implemented through the centralized console. The web based console, provides the additional benefit of being able to access the console from any location. 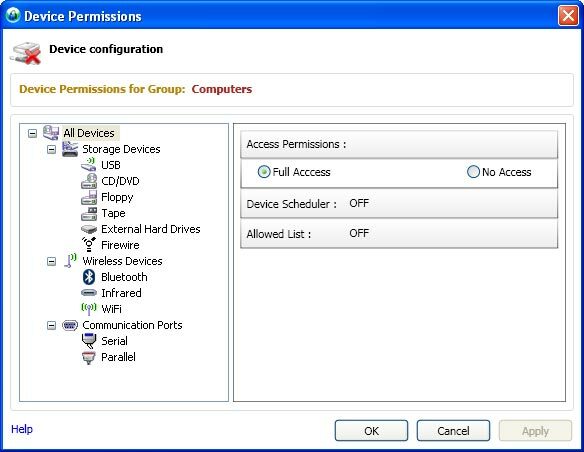 Device Allowed List Devices that are added to the Allowed List can allow users access to only company authorized devices. Users would have read/write privileges to those devices listed under the Allowed List. 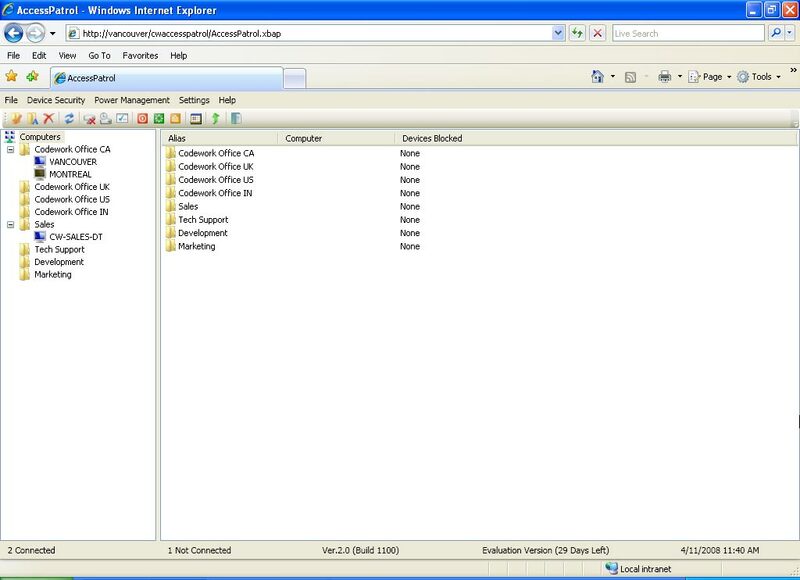 Email Reports For additional analysis of removable device access, make use of the handy email reports function. Schedule a time and date for a report to be sent directly to your inbox. 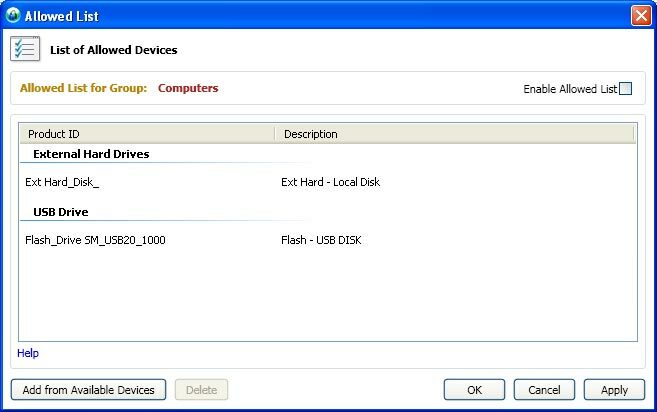 Allowed List: a white list that defines a number of devices that are allowed to be accessed by the users, while blocking all other USB and external devices. 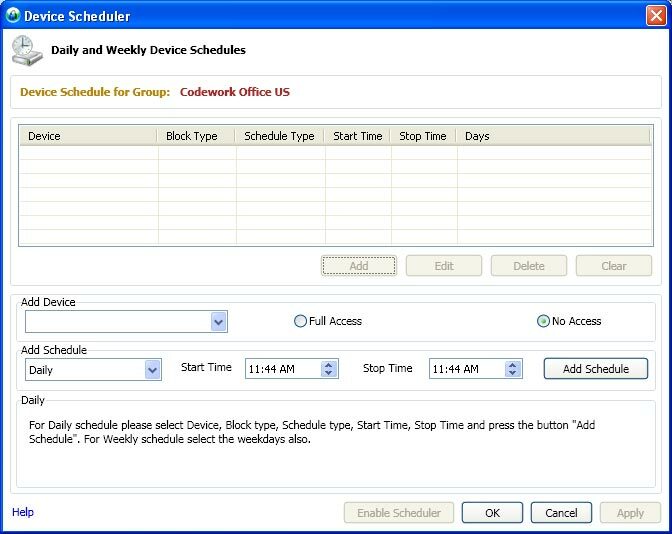 Device Permissions Scheduler: Users can be assigned access to devices at specific times. Through the Scheduler feature, access privileges can be allocated for all or specific devices. Guard your computers from the Intrusion of Portable Storage Devices.